This week as I leafed through my Homes and Gardens Magazine looking for festive fireplace inspiration I was struck but how festive decoration seems to be very much trending towards Nordic, Scandinavian style. All very simple and beautiful, this is a style I adore but wanted to incorporate it to fit in with my current decorations. Fortunately last year I had collected quite a few white, natural decorations from the festive markets, so knew these would fit perfectly into the my plans. 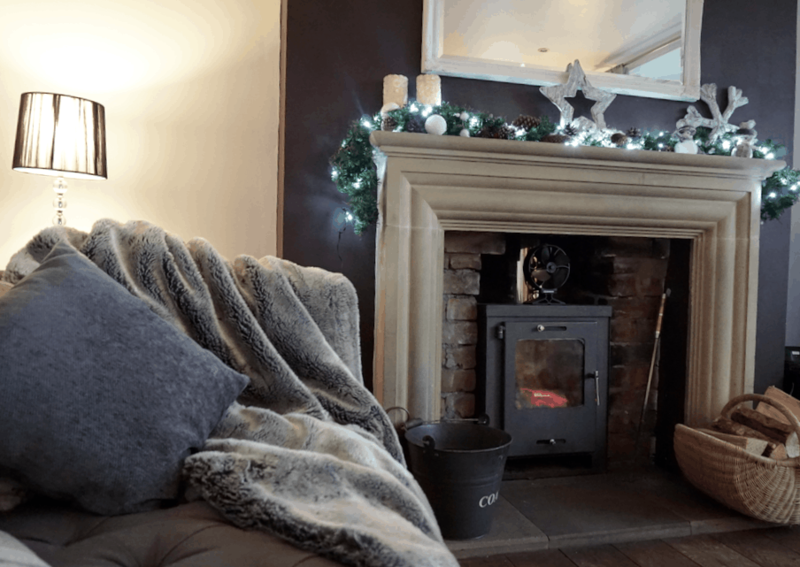 I wanted to add in a garland as I feel it gives the fireplace its own identity at this time of year and makes it the real focal point of the room. The fire is very much the center point of our home, we don’t generally use our lounge until the evenings, and at weekends but when we are in the lounge, the fire is roaring. Although I have to say it is a love hate relationship. Throughout our married life we had an open fire wherever possible, we just love log burners, they are so beautiful. But let me tell you they create so much dust, and take so much effort to look after, to clean out and build every day. But on a rainy, windy freezing cold afternoon like today when you are snuggled on a snuggly fur throw with a cup of coffee and magazine in hand you know it is worth it. 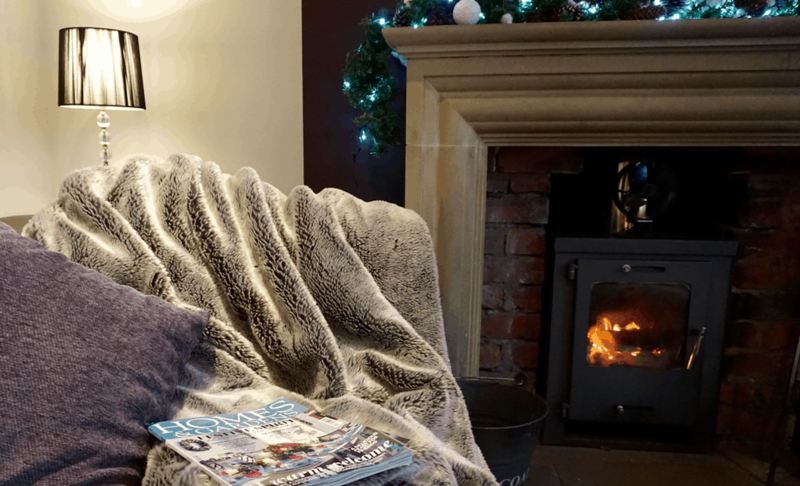 There are a few things you do need to consider when decorating an open fire, as they do get so very hot. 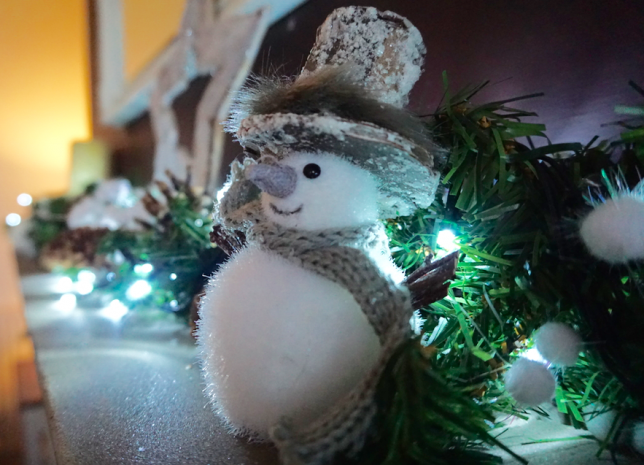 You cannot regulate the temperature, nor can you turn it off before you go to bed, so ensure where possible decorations are fire-retardant and avoid decorations hanging over the front of your mantle to reduce the risk. And although I have candles on my display, but I never light them, the twinkly lights give me the effect I want. But me the fire is part of family life, somewhere we all snuggle around in the winter’s evenings, the place we sit to open our Christmas presents, and when you come home after being away it welcomes you with open arms. Some days I look at it and think hmm it’s a bit battered, well used, but do you know what? Those marks are memories of each family Christmas, winter, and memories of being snowed in. And when the water supply is cut off for hours on end which happens out here in the sticks, it is our faithful friend that keeps us warm. Check out my festive fireplace inspirations board for some gorgeous festive ideas. 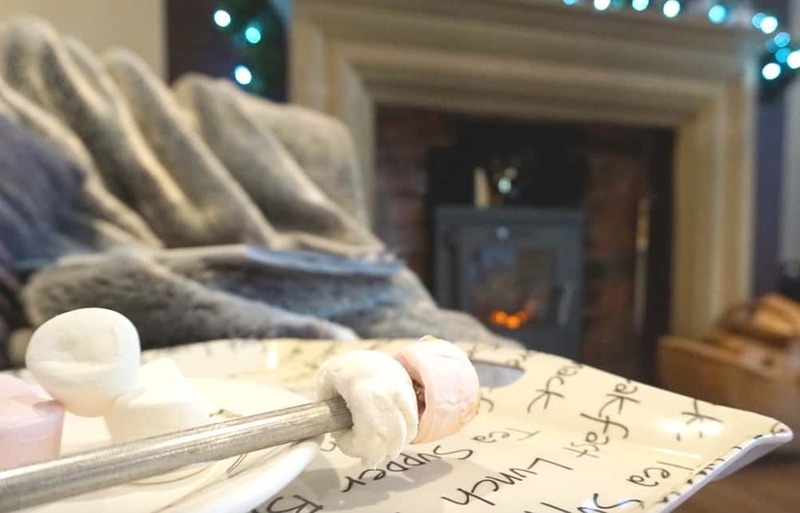 Follow Sarah Christie’s board Festive Fireplaces on Pinterest. You’ve got such a cosy home! 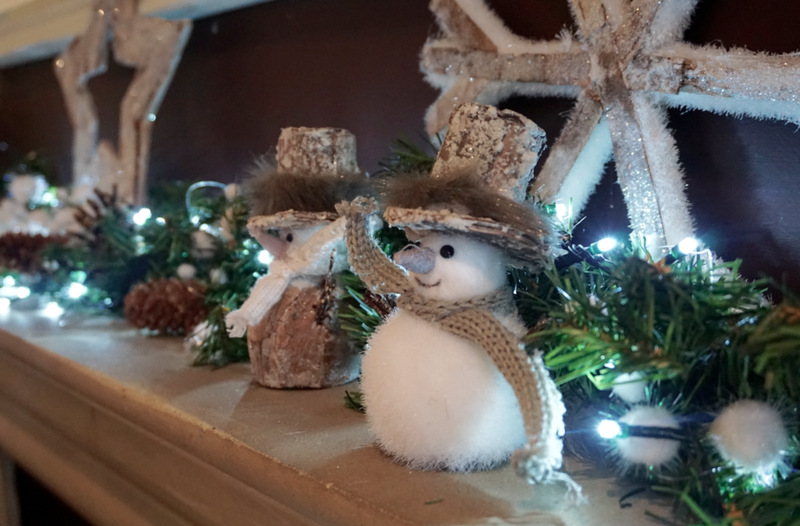 That little snowman on the mantle is adorable. Everything is Scandi these days, isn’t it! I like it, but it’s good to see other takes on Christmas!